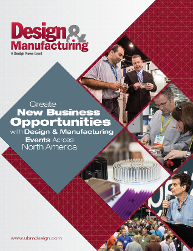 UBM design & manufacturing events offer an enterprising environment, in high-performing manufacturing regions, to make new contacts, develop and deepen relationships, and showcase products, solutions, and services to industry professionals with purchasing intent. Our events combine an array of attractions and networking functions with exceptional education programs to deliver a community experience that draws important decision makers you want to meet. Want more information? Complete the form on the right to get more information.